After the previous two dietary rules Ushnam ashniyat and Snigdham ashniyat, comes the third and important dietary rule – which we usually ignore most of the times – Matravat ashniyat. The immediate question coming to the mind is, What is Matravat ? The literal meaning is ‘Desired quantity’. The quantity of food desired (required) by the body, with respect to age, one’s agni, type of food to be eaten, and not upon ‘xyz’ calories/units of particular food constituents. 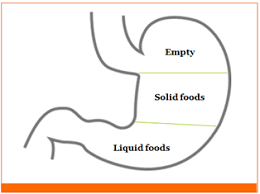 Ayurveda explains, one should not eat meals till contentment (full stomach), for instance if you divide the stomach into three parts grossly – 1 part should be for solid foods like roti, rice, bread, veggies/meat. 1 part for liquids which can include dals, buttermilk, soups and water,etc. And the last part should be left free movement of the doshas. This facilitates proper churning of food and aids digestion. B] How to decide the matra for ourselves – Ayurveda emphasizes on a simple golden rule – Eat only when you feel hungry and not just because its been 2-3 hrs you had your last food. Feeling hungry is a sign that tells you that, “The previous meal is completely digested and the body is now ready to digest the new food.” At times it may happen that you may not feel hungry for 4-5 hrs straight away, or feel hungry within 2hrs. This fluctuations takes place with regards to – In the first case – either the food quantity may appear small but it is heavy to digest,(like nuts or fatty foods) or the digestive fire (agni) has weakened. In the later case; the food quantity may be right or less but it may be easy to digest (puffed rice, raisins, soups,etc) or the digestive fire is well kindled, depending upon the daily routine and climate. – The above verse explains that, the food portion varies with individual depending upon his/her Agni and strength. This again varies with respect to the individual’s age, season and health conditions. For instance food quantity reduces with aging, illness as the agni weakens in both the conditions, and food requirement increases in individuals who exercise; as exercise kindles the Agni. Agni is in best of its condition in winter and young age, and so can also digest more potions of food. 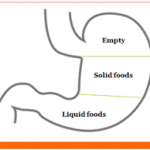 Digests food effectively in appropriate duration, thus no issues of indigestion. Natural urges like motions, urine and gases are initiated on its own without any stimulations. 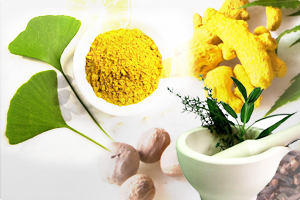 Doesnot exert any complaints like bloating, headache, nausea, etc during digestion. Aids proper developement and nourishment of Dhatus (body tissues). Keeps an individual energetic and healthy. 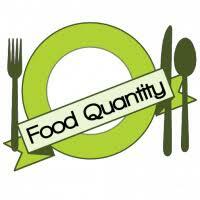 All these benefits can be achieved if the food is in proper quantity – Matravat. Having food in lesser quantity – as in crash dieting – for weight loss or any other reason, despite sound Agni would only cause harm to body, like decreased immunity, lack of energy, concentration and nourishment, weakness, skin dullness, etc. Similarly having food in excess amount despite weakened Agni can lead to indigestion, bloating, loosemotions, constipation, vomitting, lethargy, etc.